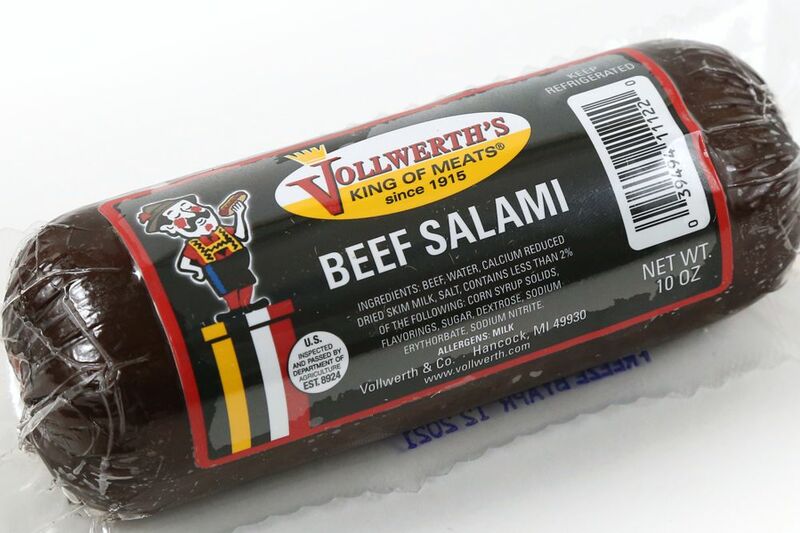 Our 10oz Beef Salami is great for parties, holidays or snacks. Made with all Beef it is a top shelf product. Beef, water, calcium reduced dried skim milk, salt, flavorings, dextrose, monosodium glutamate, sodium erythorbate, sodium nitrite.